According to the National Safety Council (NSC), more than 400 fatalities may occur as a result of motor vehicle accidents during this year's Memorial Day travel period, which runs from 6 p.m. Friday, May 25, to 11:59 p.m. Monday, May 28. This is the second year in a row that the council’s estimation has topped 400 drivers. When planning Memorial Day travel, many choose car travel, which has the highest fatality rate of any major form of transportation based on fatalities per passenger mile. When compared to Thanksgiving, Christmas and New Year’s Day, the three summertime holidays—Memorial Day, Independence Day and Labor Day—typically claim over 110 lives each day, the highest average per-day fatality rates. As a result, state and law enforcement agencies are unveiling their plans to reduce collisions over the weekend, which runs concurrently with the national Click It or Ticket mobilization, a seat belt awareness campaign that ends June 3. “We might not be able to control the weather, but we can control how we drive,” said Nebraska Gov. Pete Ricketts during a May 21 news conference. “One of the most important things anybody can do is to buckle up. The weather is also starting to get nicer, so expect to see more motorcyclists on the road. Please be aware. We want to keep everyone on the roads safe this summer." Lt. John Flannigan, Commander of Vermont State Police’s Safety Programs, echoed Ricketts’ statement, adding that the state has seen 13 motor vehicle–related deaths within the last year. “About 58 percent of those fatalities involved unrestrained motorists,” he said. Seat belt use: Approximately 250 lives may be saved this holiday weekend if all vehicle occupants wear their seat belts. Drunk driving: Alcohol-related driving fatalities rise significantly during this period. In 2016, 36% of fatalities over Memorial Day weekend involved an alcohol-impaired driver. It’s simple; don’t drink and drive. Plan your ride home from your event ahead of time. Many communities and regions offer sober-ride programs. AAA, for instance, offers a nationwide Tipsy Tow program. Call 1-800-222-4357 for more information. 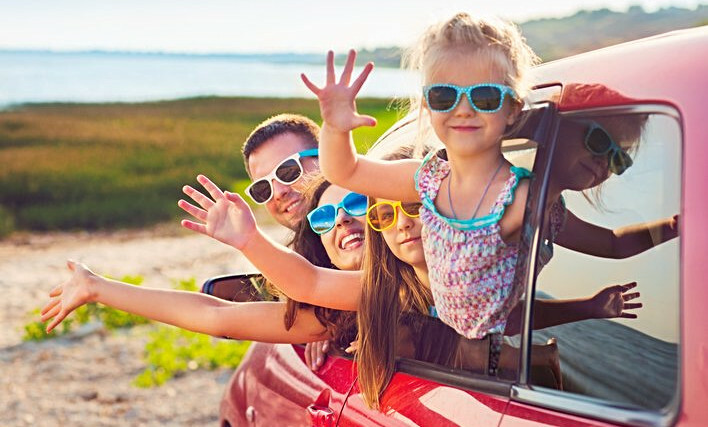 Take our advice and follow these five tips as you make your Memorial Day travel plans. They’ll help prepare—and protect—your family while out on the road. Practice defensive driving. Buckle up, designate a sober driver or arrange alternative transportation, get plenty of sleep to avoid fatigue, and drive attentively, avoiding distractions. Recognize the dangers of drugged driving, including impairment from prescription opioids. Visit StopEverydayKillers.org to understand the impact of the nation’s opioid crisis. Stay engaged in teens’ driving habits. Visit DriveitHOME.org for resources. Learn about your vehicle’s safety systems and how to use them. Visit MyCarDoesWhat.org for information. Fix recalls immediately. Visit ChecktoProtect.org to ensure your vehicle does not have an open recall.